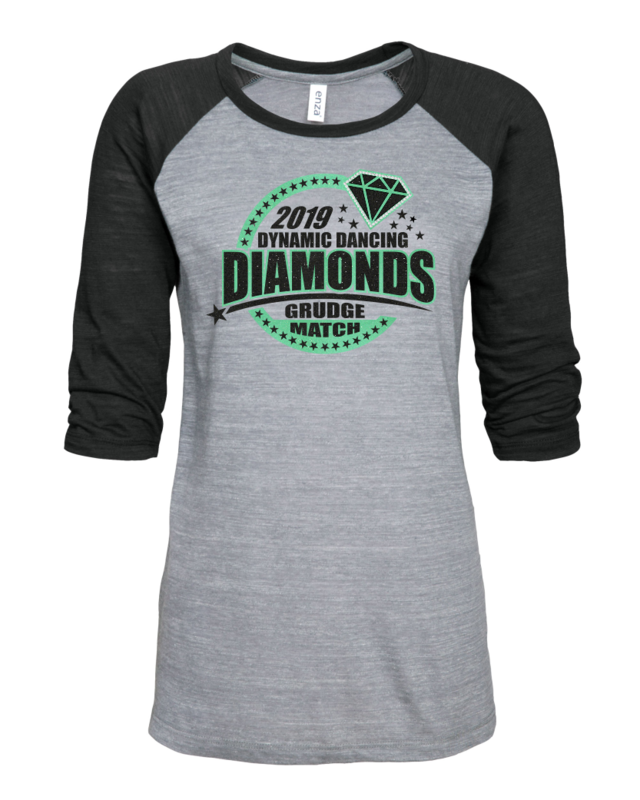 3D Dance Grudge Match print, for parents, volunteers, and event supporters. 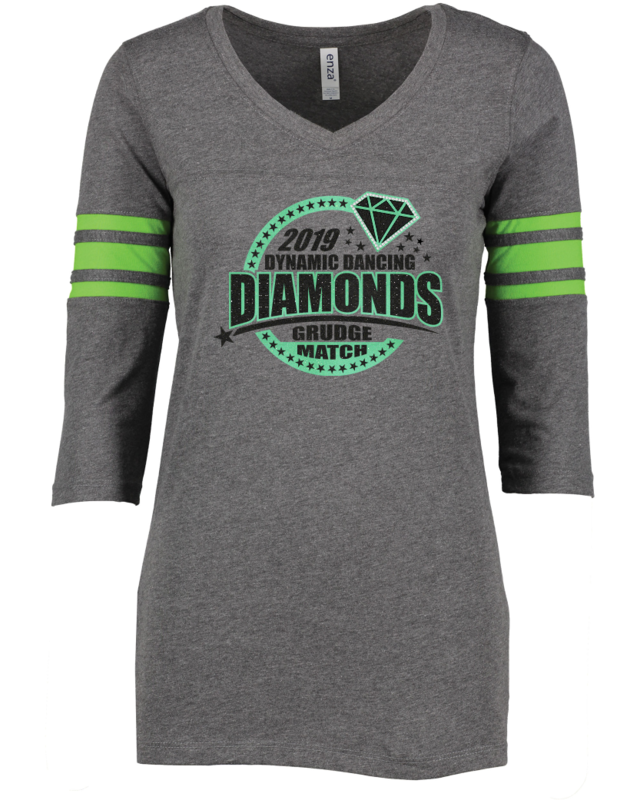 Choose Standard Print or Glitter Vinyl with rhinestone Diamond detail. 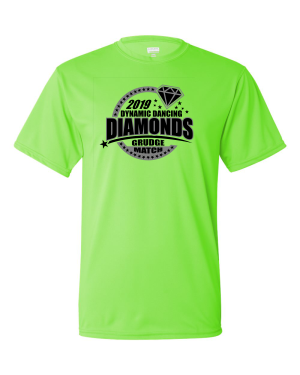 Sport Grey and Neon Green shirt options! *Scroll down for size specs. 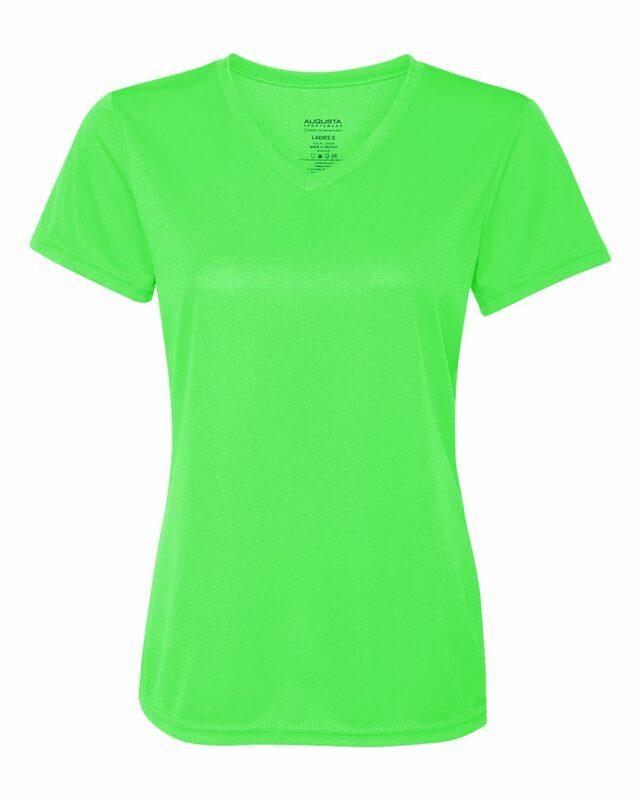 Ladies 3/4 sleeve shirts run small. 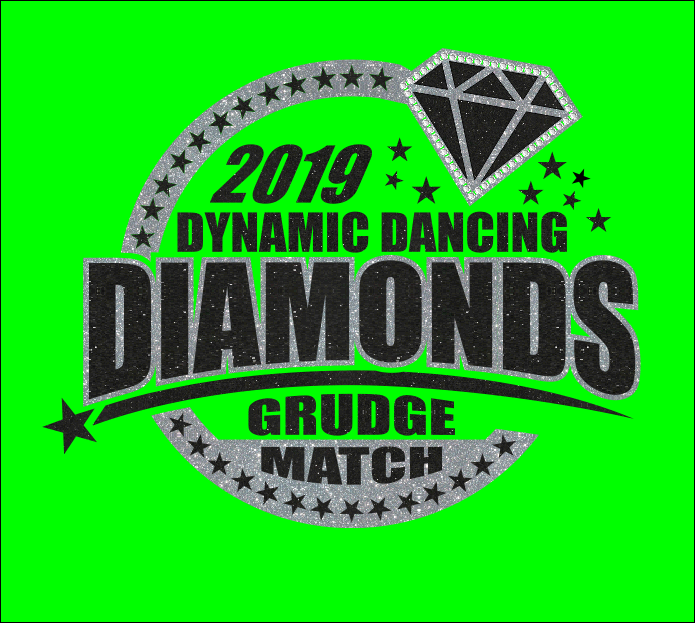 Dynamic Dance Grudge Match print. 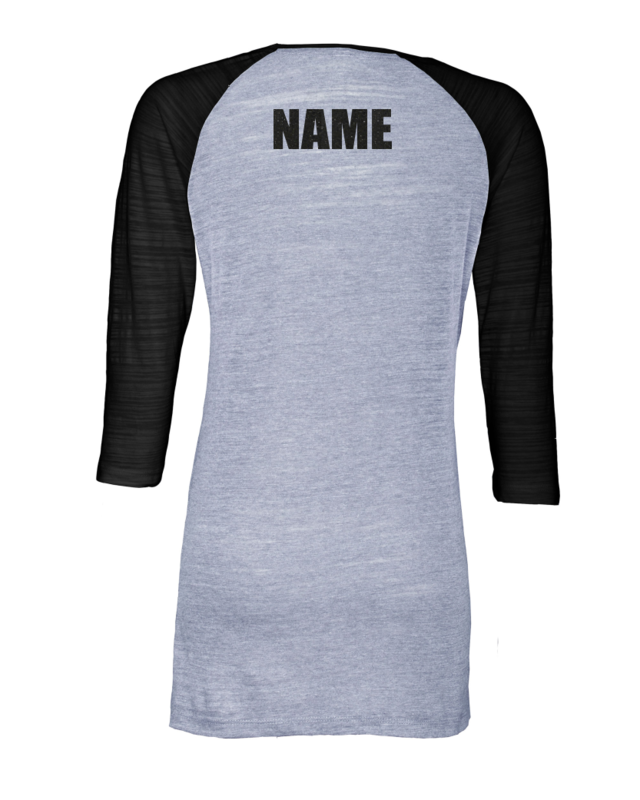 Enza Ladies Football Tee. This brand is known to run small, please check specs and if in doubt order up as personalized items are non-refundable. **Enza vintage tee is super soft but also very thin. Best layered with a cami or tank. This brand is known to run small, please check specs and if in doubt order up as personalized items are non-refundable.